Art & Technology – A New Unity? Even PC users concede that the Mac's great for art, graphics and design. But packed into even a tiny Mac Mini is everything that is needed to run a business on—host a web site, share your ideas, create a community, market your services, execute transactions, account for cash flows, coordinate a project team, share calendars, etc. There's a whole lot of powerful technologies built into every Mac - Apache, WebDav, Postfix, SMTP, POP, IMAP, Fetchmail, iCal, MySQL, SQLite, SSL, DNS, SSH, PHP, LDAP. That's enough to help even a small company with limited resources to outperform bigger, better-endowed competition. All we need is a way to turn them on. Our projects focus on this theme - helping ordinary Mac, iPhone and iPad users unlock the full potential of their machines. This is purely a fan letter. Ever since Apple started dumbing down the interface for Web and Mail in the server application, I have found your utilities a million times easier to use than theirs. I am always relieved when I get a new machine or upgrade that you are still producing new versions. I always worry that with the price drop of apple server from $1000 to $30 that you will stop producing your great utilities, please don’t your stuff is a million times easier to use. I always buy full instead of upgrading because I want you to know there is an audience who appreciate your hard work. A full-featured, accrual-based double-entry accounting system. Create unlimited levels for the Chart of Accounts. Auto postings and rollbacks. Balance Sheet and Profit & Loss reporting. Tracks receipts, disbursements, receivables, payables, and Statement of Accounts. Supports multiple currencies, calculates forex gain or loss. Emphasises accuracy, data verification, auditability and traceability. And more. Runs on Mountain Lion, Mavericks, and Sierra. Helps Mac users set up a totally buzzword-compliant mail server in less than a minute, the Mac Way. It sets up SMTP, UW/IMAP, POP3, and Fetchmail services, with or without SSL, SMTP-authentication for the Postfix client & server, Virtual Alias Domains, IPv6 over SSL for POP and IMAP, Real-time BlackLists, alternate port nos, mail queue management, etc. In Tiger, Leopard, Snow Leopard, Lion, Mountain Lion, Mavericks, Yosemite, El Capitan, Sierra,High Sierra and Mojave versions. Configures OS X's built-in web server to support WebDAV, PHP, and SSL. With WebDAV turned on, your web server acts like an iDisk, allowing you to connect to the WebDav folder remotely, securely, and directly from the Finder, so you can save, share, and distribute your files folders and iCal calendars. Web server log can be monitored remotely. Available in Tiger, Leopard, Snow Leopard, Lion, Mountain Lion, Mavericks, Yosemite, El Capitan, Sierra, High Sierra and Mojave versions. Sets up a fully functional Domain Name Server on Mac OS X with just one click. It is able to handle multiple virtual domains, multiple sub-nets, aliases, MX records, reverse pointer and CNAME records, and secondary name servers - all from one convenient single window. Available in Tiger, Leopard, Snow Leopard, Lion, Mountain Lion, Mavericks, Yosemite, El Capitan, Sierra, High Sierra and Mojave versions. DNS Agent monitors the IP address of the machine it is running on and updates the DNS Server managing the domain name of that machine with its latest IP address, whenever that address changes. It is suitable for use in machines with dynamically assigned IP address, to keep its domain name in sync with its IP address at all times. DNS Agent is able to update two kinds of DNS Servers - BIND name servers set up by DNS Enabler for Snow Leopard, and dyndns.com servers, if the user has an account with dyndns.com. Available in Snow Leopard, Lion, Mountain Lion, Mavericks, Yosemite, El Capitan, Sierra, High Sierra and Mojave versions. "We used to dream about this stuff. Now, we get to build it. Want to access your Facebook page while traveling in places where they’re filtered out (dare I mention where)? Take three short steps and just one click. That’s all it takes to get your own VPN Server running, and burrow a hole through the Great Firewall. Available for El Capitan, Sierra, High Sierra and Mojave. Liya accesses 3 database systems - MySQL 5.x, PostgreSQL 9.x and SQLite3 - using one single interface. Create and alter databases, tables and contents. Access any number of databases simultaneously. Drag and drop table structures, field definitions & data rows between them, even across database systems. Works for El Capitan, Sierra and High Sierra. Also downloadable from the Mac App Store, and the iOS App Store. We have 1-click MySQL 5.7.19 & PostgreSQL 9.6.5 database installers for both MacOS High Sierra. Just click on their respective icons, above, to download. Activate and configure the built-in LDAP server on Mac OS X with just one click. Once enabled, you can use the LDAP server to store con tacts information that will show up on any Mac (and iPhone), and keep them updated from one central point. Available for Mountain Lion and Mavericks. We also have a MariaDB ver 5.5.33a installer (64-bit Intel only). Just click on the MariaDB badge, above, to download. Use your iPhone to scan any printed page and WordScanner will lift the text off the page for you to paste into any other app. 1. Scan the page. 2. Crop the text. 3. OCR. 4. Switch to any other app and paste. It's that simple. 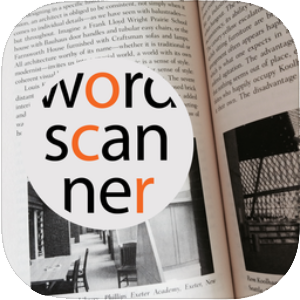 WordScanner. Available free for on the iOS App Store. 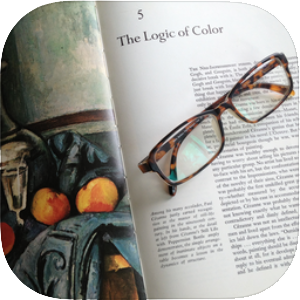 Keep a list of books to read by scanning in their ISBN bar code numbers. The app will tell you where each book can be found in the Singapore National Library Board (NLB) system. Also, when you walk into any NLB branch library, the app will tell you which of the books in your to-read list can be found there, together with their call numbers, so you can quickly locate the book. BookNapper. Available free for on the iOS App Store. Cutedge is Bernard Teo, Hai Hwee and Bee Khim. "We've always tried to be at the intersection of technology and liberal arts, to be able to get the best of both, to make extremely advanced products from a technology point of view, but also have them be intuitive, easy to use, fun to use, so that they really fit the users—the users don't have to come to them, they come to the user."